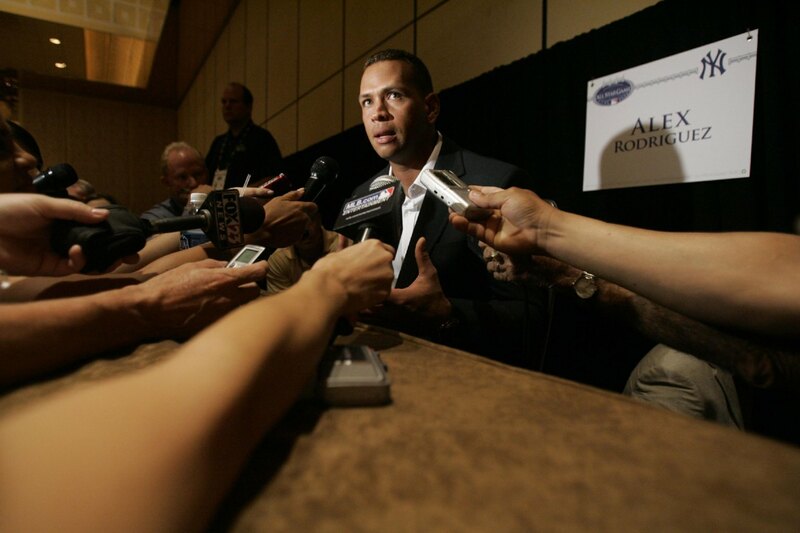 If the Yankees release A-Rod his MLB career is done. Barry Bonds was a more productive player than Rodriguez when the Giants let him walk under similar circumstances. By the time the 2015 season starts I doubt any other club would be interested in signing him. I think his career right now is firmly in the Yankees palm. They can “give” him permission to play in Independent ball, stay in the confines of Tampa at their complex, or leave him to his own devices. I agree totally, Bonds was an animal even before the pointed fingers compared to A-Rod. 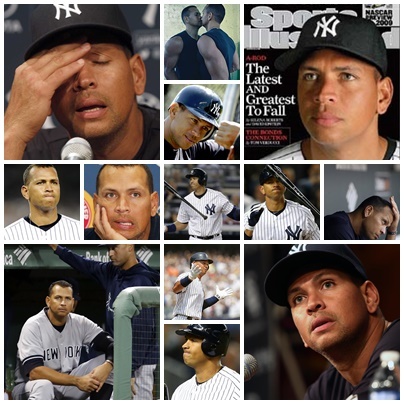 I think if A Rod does hope for some sort of career after his suspension he has to have the Yankees sign off on it or face possibly more situation on the legal front. I know this will never happen, but maybe the two can come to some sort of “buy-out” compromise and he can ride off into the S Florida sunset. 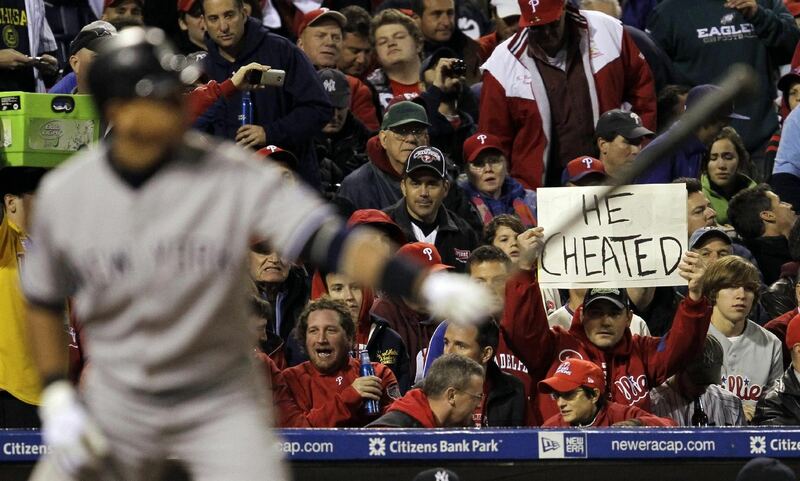 A-Rod needs to just retire. Let’s face it, his career is OVER and has been for sometime. He should leave gracefully with a very heartfelt apology, but that won’t be happening. Do you have any good tips for viewership/followers? CONGRATS on number 2! I dropped this year to 72. I want to get back up there! Thank you for any tips, I would appreciate them dearly! We all know what “he” should do and what he eventually do are 2 different animals. I personally think he is one of those players who do not take hints or suggestions and what he thinks or feels is paramount to anyone else’s thought or critique. Agree totally he should accept his lumps then if he is healed and 100%, make a valued and honest decision next year….But we all know he will ultimately do the opposite of what he should do…..He’s A-Rod. As for readership, I hit a lot of blogs, make comments and get myself known. I stroll the team blogs and comment on great material. Best advice I can give you is write what interests you, make it thought provoking, funny or even something the regular public might not get on the usual sites. Thank you, I’m pleasantly surprised and honored to hit #2 again. It took me a few years to glide up the list but writing numerous post during a week, providing photos and off-the-cuff posts have gotten people to follow my blog. Just keep your writing consistent, interesting and what you would want to read and you will be up the list sooner than you know……Good luck on your trip up the List.